On April 3, Walgreens and fourth-largest pharmacy benefit manager (PBM) Prime Therapeutics LLC (Prime) announced that their transaction to combine their mail services company and central specialty pharmacy was closing. This part of the alliance was announced for the first time on August 29, 2016. In the press release, companies stated that about 22 million Prime members may benefit from cost-saving opportunities and personalized pharmacy care if they filled their prescriptions at a Walgreens pharmacy. Beginning January 1, Walgreens became the core participant of Prime’s preferred pharmacy network. However, Prime stated that it will continue to support client-specific network choices for medical plans. The new company, called AllianceRx, is headquartered in Orlando, Florida. According to the announcement, the work of uniting the central specialty and mail services operations will start immediately, but the full integration is planned to be completed in 2018. In its financial statements, the company will be consolidated by Walgreen’s parent company – Walgreens Boots Alliance Inc.
About 3,000 employees will manage several central specialty pharmacy and mail services operations across the U.S. These employees will be current company employees. Those employees who currently work in Orlando at the existing Prime location will be also among those who will work with Alliance Rx operations. Over the coming months, companies are going to roll out the AllianceRx Walgreens Prime brand in the marketplace. In addition to its retail pharmacies, Walgreens will continue to operate more than 200 specialty pharmacies across the U.S.
Prime is going to continue its main function of providing its PBM services in Nebraska, Texas, Minnesota, and New Mexico. Prime’s pharmacies will be the part of AllianceRx that will make it easier for Prime to focus on its core functions. Walgreens and Prime’s mail service and central specialty pharmacy customers will be transitioned and will have additional benefits such as 24/7 pharmacy support, ability to pick up specialty drugs from the nearest Walgreens location, and resources and tools to improve medical adherence. Through the retail network component of the agreement, which went into effect January 1, the companies are already providing their customers with several of their benefits. For example, Walgreens pharmacist consultations are available for AllianceRx customers who have Blue Cross Blue Shield health plans and begin a new medication. Another benefit is important reminders about immunizations and other preventive health care services. Another benefit is the 90DayMyWay® program. With this program, AllianceRx customers have the option to choose whether they wish to pick up their 90-day prescription medications at a Walgreens store or ask to deliver it to their home. Walgreens and Prime also announced who will be on the AllianceRx leadership team. Joel Wright, vice president for Walgreens specialty solutions, will lead AllianceRx as its CEO. Wright has 25 years of leadership experience and has held leadership roles at Walgreens. Other names of the new company’s executives were announced as well. Guillermo Sollberger will hold the position of chief operating officer. Daniel Tardiff will be chief legal officer, Jim Adams will be chief information officer, Don Vidic will be chief pharmacy and growth officer, and Alex Katen will be chief operating officer. Wright said that he was honored to have the opportunity to lead that innovation company. He also said that with strong leadership and experienced employees they will be well positioned to meet the evolving prescription medication needs of their customers. He added that by leveraging the Walgreens pharmacy network and with the benefit management expertise of the Prime company and operational efficiencies, they had the resources to deliver better health care coordination, exceptional care, improved patient outcomes, and better service to payers and patients. Jim DuCharme, CEO and Prime president, said in the announcement that he was pleased with the progress to date to launch that “innovative joint venture” and to ensure the success of the Walgreens and Prime alliance. He pointed out that a component of AllianceRx’s retail pharmacy agreement was yielding considerable savings for their members and plans. DuCharme said that half of Prime members have been transitioned into a pharmacy network anchored by Walgreens. DuCharme also added that they had built a powerful team of leaders at AllianceRx-Walgreens-Prime with the enhanced system of care coordination and experience to deliver efficiencies through Walgreens and Prime’s pharmacies. He stated that he looked forward to AllianceRx delivering deeper savings as well as better health outcomes for their members and health plans for years to come, and to leading the new company along with Walgreens. 4 Comments on "AllianceRx Walgreens Prime by Walgreens and Prime Therapeutics"
I first dealt with AllianceRX Walgreens Prime on Dec 20, 2017. I called to get a new prescription filled. They took the order, or so I thought. On January 17th (28 days Later) I get a call from Alliance saying they cant process my order because they can’t find the doctor’s name. Are you joking, 28 days later? I give them the info again. I call Alliance again on January 19th, on January 22nd and January 23rd. Every day is a different excuse, On the 23rd they said my order will arrive on the 25th. I’m not holding my breath!! Also, my prescription ran out today. Thanks for the worlds worst service AllianceRX Walgreens Prime. Also, I have to pay 3 times more from Alliance as I did from Osco with a thousand times more headache. This is the absolute worst specialty medication pharmacy ever! I have been a longtime customer of Prime Therapeutics who was the provider with my health insurance company and who refilled monthly medications without a problem for years. Since the merger/takeover with Alliance RX Walgreens ( a year or more ago? )however, it has been a nightmare every month. 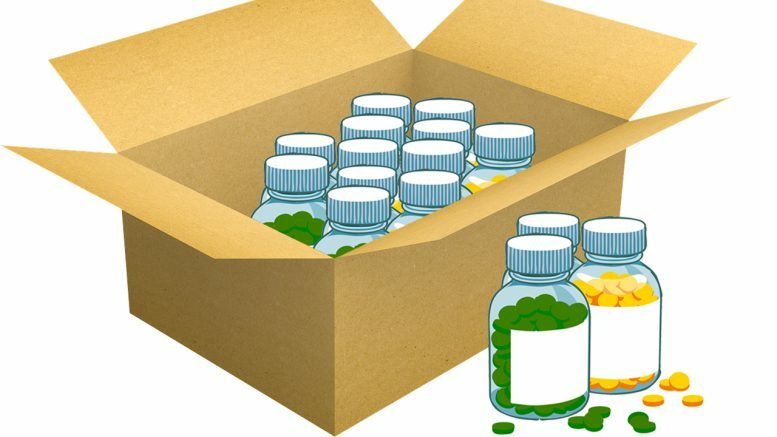 I call to schedule delivery of specialty medication I have been on since 2002 every month. I am either told that the delivery is scheduled for a certain date without further complication and it doesn’t arrive, or I’m told it is hung up with my insurance company (which has not changed since 2002 and has never been a problem before), or that it is too early to schedule for delivery or that deliveries have already gone out, etc. Monthly, I have had to “escalate” my complaint to a supervisor level and demand the medication is delivered as I have run out due to their incompetence. I am routinely on the phone with various employees for hours and once all day long. This is very stressful and stress is the number one situation I am to avoid to prevent relapse of my condition. Ironically, I am a healthcare professional and know how to advocate for myself. I wonder what happens to those who are not capable of doing that. This company consistently provides the WORST healthcare to consumers I have ever seen in my 30+ years of being a healthcare professional and a consumer. Very sad!!! They need to address this problem immediately. I plan to complain to my insurance company that they need to contract with a competent company as consumers healthcare is very much at risk with this provider.